Credit-Land.com offers multiple credit card applications which have been proved to be among the best offers in virtual space. One of our main advantages is that our web-recourse has the widest choice of credit cards. The selection of over one hundred credit card applications will give you an opportunity to make the right decision. All credit cards are arranged in convenient tables that make comparison easier. So, you will not get lost. The idea is to compare the main features such as APR, interest rate and annual fee. After you have compared these general points and have chosen a card or a number of cards you can make further research. Credit-Land.com will provide detailed information about credit cards for your further research. As soon as you have chosen a credit card, you are welcome to make an online application straight away. It will save you time, for you can fill in the application form at home without driving to a bank. Be sure that your personal information will remain safe and confidential as the application is protected by Secure Sockets Layer encryption. If you have any questions concerning credit card application, our Immediate Credit Card Care Service is ready to help you. Our specialists will answer all your questions. Many debates have been held, many articles have been written on the topic? What is the right age to apply for a credit card? Till the present moment no one has given an unequivocal answer. Some believe a young person can apply for a plastic as soon as possible, others think that one can get a credit card only after graduation from a college or university. The truth is as usual in between. You can make a credit card application as soon as you feel you are ready for it. The criterion is simple. You are ready to get your first credit card as soon as you are 18 and, what is important, can meet all the obligations associated with it. That means paying off your bills in full and in time. Many young people become mature enough very soon, so they are ready to apply for the first student credit card at quite an early age. Starting a credit history from scratch is not as difficult as one may think. 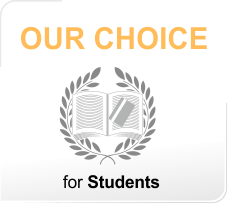 There are student credit cards are not only easy to get, but also very beneficial. Feel free to find out more about them. Being a student is exciting. Young, smart and free - this is the best time to enjoy oneself as much as possible. Sounds very nice. Especially, if you take into account that a credit card can be helpful in this respect. First of all, credit cards are good for purchases. 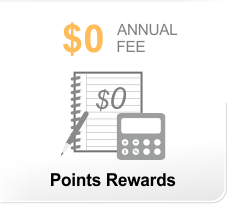 With each purchase you can earn rewards points that can be lately redeemed for discounts at shops, or gift certificates, or even cash. 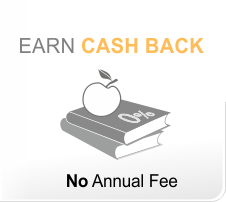 There are student cards that offer such rewards, despite they are for fair credit history. Secondly, credit cards give access not only to money, but also to some exquisite services. Among credit card offers for students you will be able to find a card that provides its holders with passes to special events such as, for example, shows or musical concerts. Which is more, such cards will save you money while shopping at different online shops. This can be a really good deal! Managing your personal finances with a credit card can be fun. Especially if you are a student and this is your first card. Some may think that having fun is the best reward. The Brex Card has opened their very first lounge putting their own spin on the lounge experience for their cardholders in San Francisco. While you may well expect that it is opening at the airport in San Francisco that is not the case this credit card for startups has actually opened up shop in San Francisco's South Park district. U.S. credit card debt has surpassed all previous years hitting a whopping $870 billion in December of last year. This upswing, which brought the level of consumer debt to its highest point to date, occurred when credit card balances went up by $26 billion. Since 2011 SoFi, a San Francisco based online lending company, took the lending industry by storm, when they became the first online lender giving people access to affordable student loan refinancing. Your son can apply for the student credit card. Credit activity will be reported to the major credit bureaus, so your son will be able to build his credit history. Credit-Land.com will help you understand the basics of your credit score. This is important because your credit history can have a lasting impact on your life. If now it may sound ridiculous, later when applying for a mortgage or a car loan, a light-minded credit cardholder will fully understand the meaning of these words. Some credit card experts believe that the best time to start establishing your credit history is during student days. This is true, only if following some simple rules: First of all, apply only for one plastic and let it be a low interest student credit card. It is easier to manage one card, especially if you are a beginner in financial affairs. Secondly, do not make impulsive purchases. Remember that "wanting" and "needing" are very different things. If you do not want to pay the double price in late payment fees or high interest rates for a new stereo system - be reasonable. It is better to tell your money where to go than to ask where it went. Last but not least, pay off your balance regularly and before the due date. This is actually the golden rule of establishing a credit. Having a zero balance means paying no interest. That will be very beneficial for you as it will help you building credit history and prove your creditworthiness. The importance of having a good credit history is out of question. Good credit history can open many doors and thus make your life more comfortable. The better your credit is, the more likely you will be approved for a mortgage, or a car loan in future. Which is more, the size of a mortgage or a car loan also depends on your credit score. So, the better your score is the bigger house you will get! Even your career depends on that. Especially, if you dream about working in a bank. In this case your credit history is viewed as part of your character. It is never too late to start working towards better credit score. Some financial analysts even believe that it is better to establish a credit history when you are a university or college student. They say so, because in this situation you do not to be in a hurry establishing credit score. You have an opportunity to do everything at the right time. 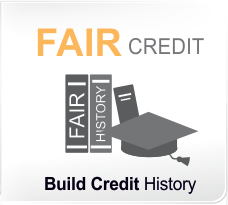 Student credit cards for fair credit are the best option in this case. They help you to enjoy what life has to offer you and at the same time establish your credit history.